End your search for a reliable gutter company with the professionals at ABC Seamless of Albuquerque. We have proudly served the area since our founding in 1989 and our reputation for providing high-quality gutter installation services to homeowners in Tijeras, New Mexico, and the surrounding areas. Our team of installers will do whatever it takes to ensure your satisfaction with your new gutter installation and our projects are all backed by a 10 year labor guarantee to ensure your investment remains protected. In addition to being a customer-service focused gutter company, our team of installers are highly-trained and experienced in all aspects of the gutter installation industry. This means that you when you turn to us for the installation of new rain gutters, you will be able to rest assured that your installation will be completed correctly the first time. 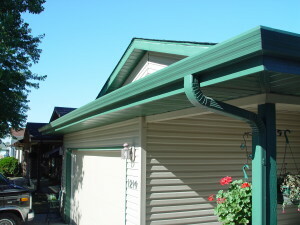 In order to achieve this, we custom-fabricate our seamless gutters on-site at your home to ensure an exact fit from side-to-side of your roof line. In addition to the functional seamless gutters we offer to homeowners throughout the Tijeras area, we also offer one of the most impressive gutter guards available in the area. Our top-of-the-line product is designed to protect your gutter system against becoming clogged by unwanted debris such as leaves, seeds, and twigs. This will allow for a stream of rainfall that will flow freely away from your home. To learn more about what makes us stand out as the leading gutter company in Tijeras, NM, and the surrounding communities, contact ABC Seamless of Albuquerque today. When you do, a knowledgeable member of our team will happily answer any questions you may have about our products.